This CBD topical salve is made from the fusion of 100% hemp cannabinoid derivatives and other well tested moisturizing agents. Buy this CBD Topical Salve today to enjoy therapeutic properties for your whole body. · Extracted from 100% Oregon grown hemp. · Contains minimal THC components. Less than 0.2%. · Muscle numbness and soreness: After a long day of rigorous activities or even just sitting down in one area for a long duration, like at your desk at work, may result in some muscle numbness and soreness. This will mostly come about due to obstructed blood vessels supplying the muscles with nutrients, or overused muscles in the case of rigorous activities. 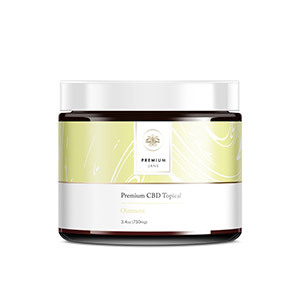 With this CBD salve, this problem will be alleviated almost completely, as the CBD will help in promoting blood flow to the region where you are experiencing such pains. This is a good reason for you to buy CBD topical salve, especially if you enjoy exercising. · General body trauma: If you have experienced bodily injuries like bruising and cuts, you can buy CBD salve to aid in relieving the problem. The CBD topical salve solves this issue by promoting blood flow to the region and reducing swelling in the area, as well as acting as a painkiller aspect to alleviate the pain of the injured area. · Joint pains: This CBD salve will also help in curbing joint pains that may arise from diseases or from sporting activities. This is possible due to its soothing and relaxing effects that promote blood circulation. · Arthritis-associated pains: Arthritis is a common condition in the elderly, manifesting as painful joint pains. These pains can be soothed down by the therapeutic properties of this salve. · Rashes and irritations: Rashes and skin irritations resulting from insect bites, inflammation or allergic reactions can be such a nuisance. To get rid of this disturbance, take a tub of Premium Jane CBD salve and smoothly rub onto the affected region in a massaging motion. This will help in soothing the irritation in this select region. Quality: 2oz CBD topical salve, as earlier indicated, is made from pure Oregon hemp derivatives, as well as therapeutic creams and a host of complementary herbal products. The combination of these ingredients makes a superb final product that is laboratory tested to meet set requirements. The psychoactive element of cannabis, THC, is only found in trace amounts in this product, containing only about 0.2%. Effects: The CBD salve is a proven relaxer and helps in relaxing tense muscles and blood vessels to promote healthy circulation in your body, as well as alleviating pain and the irritation brought about by rashes. Price: Packaged in a 2oz container containing 600mg of CBD, this wonderful product comes at a relatively pocket-friendly price of $80, currently down from $84 dollars. This is a reasonable price considering its many benefits. You can buy CBD topical salve online from this website. Final Thoughts: This is a very nice product that will guarantee you the best experience in dealing with a myriad of body conditions that may arise occasionally. Extracted from 100% Oregon grown hemp. Contains minimal THC components. Less than 0.2%. Leaves no marks on an application. Comes in a compact and portable container. Can be relatively costly to some customers. Has some THC in it, though in minimal percentages.